Beautiful And Modern Apartment With a Great Location! Wi-fi, A/C and Parking. Hola and Welcome to Condado, Puerto Rico! 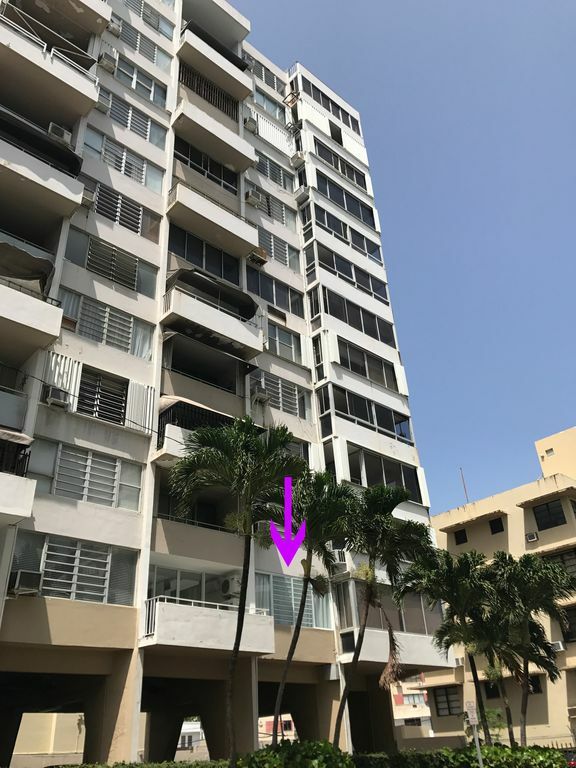 This is a modern one bedroom apartment with views to the Condado Lagoon in the best location of Condado. The apartment has one queen size bed and full-size sofa bed. You’ll be walking distance to everything: the beach, restaurants, shops, markets, Old San Juan and the best hotels: The Vanderbilt, La Concha & Condado Plaza! Gated parking space on premises available. Hola! I’m Patricia a foodie, jet-setter and proud Puerto Rican. I love the beach, art and getting to know new cultures. If you need recommendations don’t hesitate to ask! Hope you enjoy Puerto Rico and everything we have to offer. If you've questions during your stay don't hesitate to ask Jesus my co-host. Great location just steps away from the center of Condado! Local channels are available. Netflix and Amazon Firestick available with tons of tv apps to enjoy. We thoroughly enjoyed this apartment in Condado. It was clean and modern and looked exactly like the photos. It is located on a street just off the main strip in Condado and within walking distance to restaurants and the beach. It's a definite place for adults to stay, with a small infant there is no true tub just the stand-up shower but we saw that before we came and we made due. Also no microwave was unexpected, but all the other provided amenities were great. The wifi worked well, the A/C was great and the bed was comfortable. The owner was super responsive which is a plus. I would recommend this place and would stay there again when visiting PR. Overall it is a very modern and well decorated apartment. We enjoyed the balcony and the AC worked great! Upon arrival, there were issues trying to get into our rental. I had a difficult time reaching our host and we were delayed due to all of that. The apartment was not clean when we arrived, however, there was someone cleaning it when we carried our luggage inside. We felt very safe and comfy during our stay. Would definitely recommend if you are wanting to be in the heart of Condado Beach! Very clean and very cool! The views weren’t exactly what seemed to be shown in the pictures, but overall it was a great little place and we enjoyed our stay! Loved: Modern, great location, balcony for morning coffee and evening cocktail, A/C, bed, shower, Patricia responsiveness. Would have been better: If view from balcony looked like advertized. It had microwave. If it had a dresser to put things in and on. If ice maker worked. If shower had hotter water. If there were towel bars/hooks in bathroom. Overall it was lovely, modern, clean, and great. We would return for sure. The condo was at a great location and walking distance from everything. The condo was beautiful and clean. The perfect apartment if you’re vacationing in PR! Centrally located and very clean! So happy you enjoyed PR and my rental home! Safe travels.